rooftop spaces with a purpose. 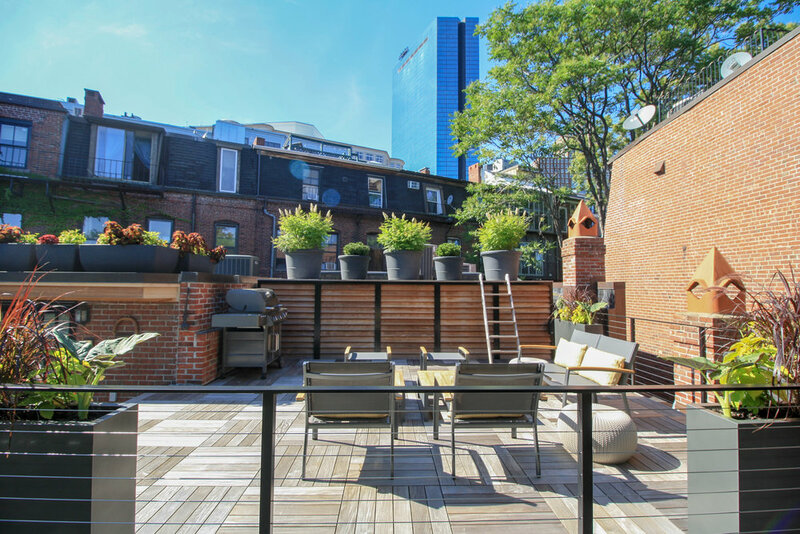 This multi-use rooftop overlooking the Prudential Center in the heart of Boston’s Back Bay neighborhood maximizes the homeowner’s living space with an outdoor kitchen, roof deck, and two extensive green roofs. Cambridge's first ever floor area ratio extension for green roofs proves the sky is the limit, and creates two distinct residential green roofs for neighbors in one building. Several multi-functional green roofs serve as privacy screens, stormwater catchment, and create green views from every room in this garden-inspired house.